The Envirothon is an environmental competition in which students demonstrate their knowledge of environmental science and natural resource management. 5-member teams exercise their training and problem-solving skills centered on 5 categories (Soils/land use, Aquatics, Forestry, Wildlife, and a current environmental issue). 3 levels of competition exist: Regional, State, and National. The Regional Envirothon involves Upper East TN schoools from Johnson, Carter, Washington, Unicoi, Sullivan, and Greene Counties. The winning team from each Regional Envirothon travels to Middle TN for the State Envirothon (involving 12 Regioinal-winning teams). At the state level, the competition consists of the 5 categories plus a comprehensive problem/presentation involving all 5 categories. The state-winning team competes in the North American Envirothon. Brett Barnett, Cole Tipton, Kylee Phalen, Kenzie Bastian, and Josh Bruni pulled off an incredible feat by winning the State Envirothon. The team is the first from Northeast TN to do it. They defeated the 2nd place team by just 11 points, scroing 598 out of 700 possible points. O, Canada, here comes a five-student team from David Crockett High School’s Future Farmers of America. Having won regional then statewide qualifying environmental education competitions, they’ve earned their right to represent Tennessee at the National Envirothon in Ontario on July 22. A team from each state, teams from Canada and Puerto Rico all aim for the ultimate prizes and top spots. “They were extremely tickled to win such a tight competition,” said the group’s leader, Ryan Arnett, who also teaches agriculture at the Jonesborough high school. In the 23 years the Envirothon has taken place, this is the first time a Northeast region team will represent Tennessee at Nationals. Each step along the way included tests of general environmental educational topics like forestry, wildlife, soils, aquatics and current issues. At the statewide competition in Crossville May 4-5, the current issue was invasive species: specifically, what would happen if they bought a piece of property that contained these species, and what steps they would take to combat it. In order to win, the student team, consisting of Kenzie Bastian, Cole Tipton, Josh Bruni, Brett Barnett and Kylee Phalen, had to show off their skills in environmental knowledge, presentation, eye contact and public speaking. On a 700-point scale, determined by a panel of judges, the Crockett team scored 598 points, bettering second place by only 11 points. Arnett said he was proud of the students on his team because they — unlike those from many of the private schools they often compete against — have so much on their plates, and still pulled out the win. Winged Deer Park was the regional host site of the first area competition, put on by the Appalachian Resource Conservation and Development Council. Through this organization the Crockett team of environmental scholars is raising funds to ease the financial of burden of driving 12 hours north of East Tennessee. Anyone willing to help is asked to call 423-979-2581. Over the course of the next two months, the Arnett-led team will study as much as possible and try to prepare themselves for a top-spot finish. Each member of the winning team is given $3,000. The second-place finishers each get $2,000 and members of the third-place team each earns $1,000. A stop at the Niagara Falls is definitely in the plans for the trip, and they’ll also be stopping other places along the way. 2016 ENVIROTHON TEAM WINS REGIONAL ENVIROTHON! Teams from Upper East TN Region competed in the 2016 Regional Envirothon, and David Crockett FFA placed 1st. Team members are Brett Barnett, Kenzie Bastian, Josh Bruni, Kylee Phalen, and Cole Tipton. The Envirothon is an environmental competition in which students demonstrate their knowledge of environmental science and natural resources management. Five-member teams exercise their training and problem-solving skills centered on 5 categories - Soils/land use, Aquatics, Forestry, Wildlife, and a Current Environmental Issue (Invasive Species). 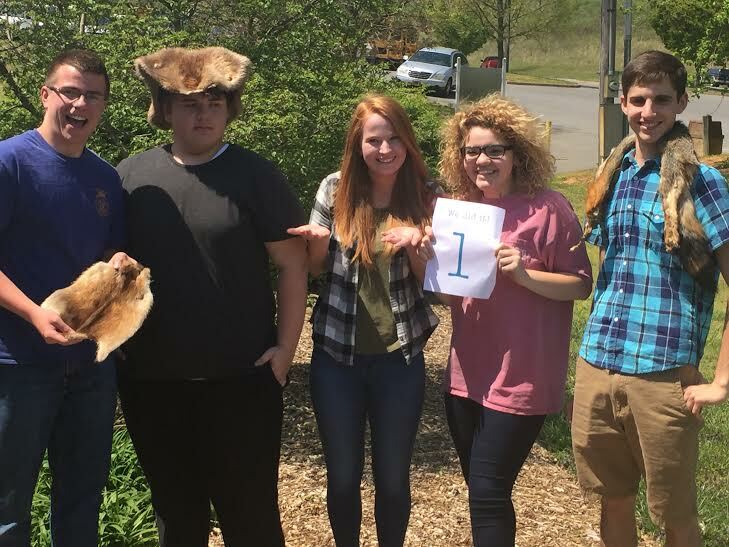 The team qualifies for the State Envirothon, along with 9 other Regional winners, held in Crossville in early May. David Crockett Envirothon Team wins the 2015 Regional Envirothon! Places 4th in the State Envirothon! Teams from the Upper East TN Region competed in the 2015 Envirothon, with David Crockett FFA placing 1st. Team members are Abby Anderson, Brett Barnett, Kenzie Bastian, Jenna Fabozzi, and Cole Tipton. The team qualified for the State Envirothon in May where they competed against the other regional winning teams. The team placed 4th in the State Envirothon, held in Crossville. 100+ teams and 500+ students competed at the Regional level across the state. Only the 10 Regional-winning teams qualify for the state contest. 4th in the State is amazing! The Envirothon is an environmental competition in which students demonstrate their knowledge of environmental science and natural resource management. Five-member teams exercise their training and problem-solving skills centered on 5 categories - Soils/land use, Aquatics, Forestry, Wildlife, and a current environmental issue (Urban Forestry). David Crockett's other Regional Envirothon team placed 4th. Team members are Chasity Fowler, Bria Malone, Paula Malone, Kylee Phalen, and Molly Sayre. The school’s three different teams placed 1st, 2nd, and 3rd. Fifteen teams from Johnson, Carter, Washington, Unicoi, Sullivan, and Greene Counties competed. Up to three teams from each school can compete. The winning team qualifies to participate in the State Envirothon in May when they will compete against the other regional winning teams. The Envirothon is an environmental competition in which students demonstrate their knowledge of environmental science and natural resource management. Five-member teams exercise their training and problem-solving skills centered on five categories (Soils/land use, Aquatics, Forestry, Wildlife, and a current environmental issue). The 1st place team members are Abby Anderson, Kenzie Bastian, Dustin Foister, Molly Sayre, and Zach Young. The 2nd place team members are Michaela Crain, Jenna Fabozzi, Breanna Lawson, Bethany McCurry, and Cody Moore. The 3rd place team members are Llyli Bacon, Brett Barnett, Ashley Basinger, Chasity Fowler, and Breanna Jones. DAVID CROCKETT HIGH SCHOOL ENVIROTHON TEAM PLACES 2ND IN THE 2013 REGIONAL ENVIROTHON! Team members are Bryce Bateman, Kayla Jones, Chase Partin, Sydney Sexton, and Cole Tipton. The competition consists of 5 components that relate to Biology, Agriculture, and Natural Resources: Aquatics, Soils, Forestry, Wildlife, and a Current Environmental Issue. Also, Team B places 3rd in the Regional Envirothon. Team members are Abby Anderson, Dustin Foister, Shianne Milbourn, Hunter Morrow, and Molly Sayre. Also, Team C finishes in 4th place. Members are Michaela Crain, Christina Henley, Jonathan Lykins, and Paty Morales. David Crockett High School placed 1st in the 2012 Regional Envirothon and 2nd in the 2012 State Envirothon Competition. Team members are: Bryce Bateman, Kareena Jones, Raini Rowenhorst, Sydney Sexton, and Rebekah Wright. The competition consists of 5 components that relate to Biology, Agriculture, and Natural Resources: Aquatics, Soils, Forestry, Wildlife, and a Current Environmental Issue. In the State Envirothon in Crossville, the team members also gave a presentation on an environmental issue for a panal of judges. 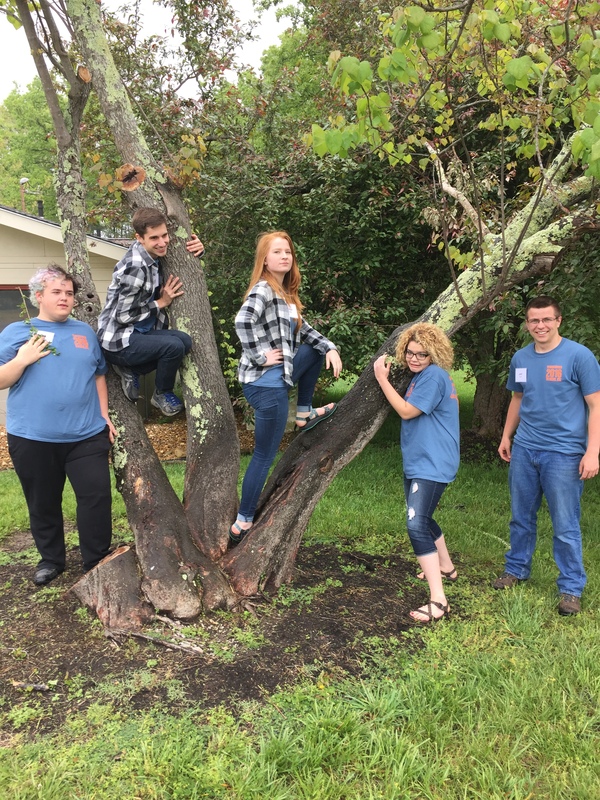 Also competing in the Regional Envirothon were: Team B - 5th place = Kayla Jones, Jonathan Lykins, Hunter Morrow, Chase Partin, and Brooke Stallsmith; and Team C - 7th place = Bethany McCurry, Jessi Robinette, Jed Sayre, and Audrey Stout.